2017 Toyota RAV4 vs. 2017 Nissan Rogue: Which SUV is Better? You Are Here: Home > 2017 Toyota RAV4 vs. 2017 Nissan Rogue: Which is the Superior Crossover? 2017 Toyota RAV4 vs. 2017 Nissan Rogue: Which is the Superior Crossover? If you’re looking for a dependable crossover SUV that can comfortably seat up to five adults and provide you with the added confidence of available all-wheel drive, you’ll soon find that both the 2017 Toyota RAV4 and 2017 Nissan Rogue fit the bill. Dig in a little deeper, though, and you’ll soon find quite a few ways in which the new Toyota RAV4 asserts its dominance over the Rogue. 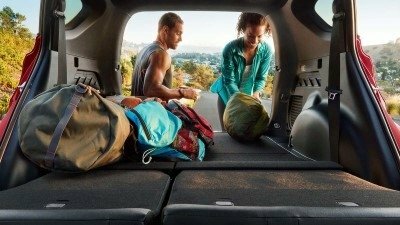 This, in part, explains why so many individuals and families all throughout the Lowcountry and towns like Pooler and Bluffton have decided to opt for Toyota’s ever-popular crossover. 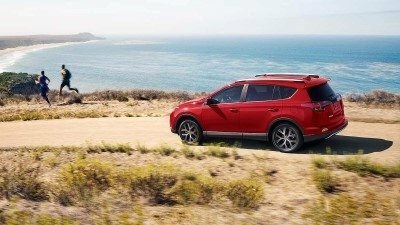 Explore the details here, and then count on the team at Savannah Toyota to help you find the RAV4 model that best meets your needs. Both of these crossovers come with a variety of quality safety features, including a rearview camera, stability and traction control, and a suite of airbags designed to mitigate the chances of injury in the event of an accident. However, the Toyota RAV4 also comes standard with Toyota Safety Sense™ P (TSS-P), which includes Dynamic Radar Cruise Control, a Pre-Collision System with Pedestrian Detection, Automatic High Beams, and Lane Departure Alert with Steering Assist. 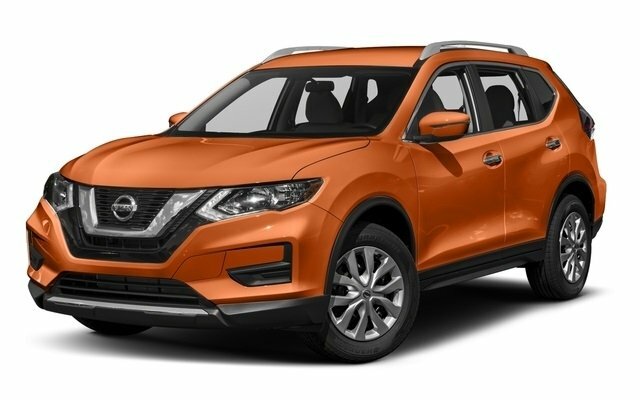 While the Rogue is offered with Forward Emergency Braking, several of the other aforementioned safety features aren’t even available as upgrades. Whether you ultimately choose the Toyota RAV4 or the Nissan Rogue for your next crossover SUV, you’ll get your power from a standard 2.5L four-cylinder engine and have the option of all-wheel drive for improved traction in inclement circumstances. 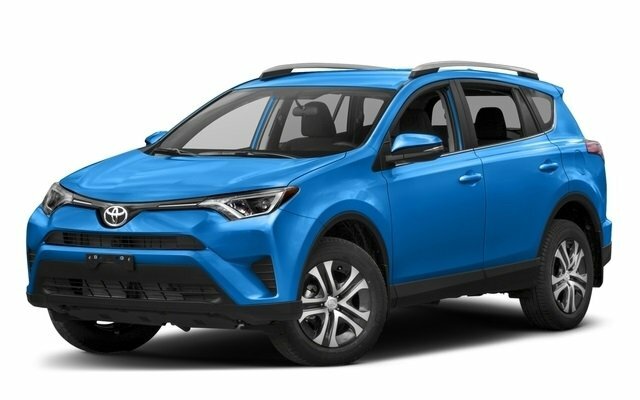 However, the new RAV4, with its ability to produce a standard 176 hp, is able to breeze past the Rogue, which falls short of the RAV4 by only offering 170 hp. On top of these advantages, the Toyota RAV4 also ever-so-slightly edges out the Nissan Rogue with a lower starting MSRP from only $24,410*. Even more noteworthy, however, is that the new RAV4 offers a wider range of trim levels, with five non-hybrid trims in total, in addition to three hybrid trims, compared the Nissan Rogue’s four non-hybrid trims and two hybrid models. With a less expensive starting MSRP and more trims to choose from, the 2017 Toyota RAV4 ensures that Bluffton drivers are offered the selection they deserve and the features they need, regardless of their personal budget. You can always count on the friendly staff at Savannah Toyota to help you find the car you want at a price you can afford. Check out our current selection of new Toyota RAV4 SUVs at 11101 Abercorn Street in Savannah, GA, just a short commute from Pooler. Our staff is here to take you for a test drive and help you secure fast and easy financing Monday through Saturday. If you have questions, you can contact us directly at (855) 411-6139. *Manufacturer’s Suggested Retail Price, excludes the Delivery, Processing and Handling Fee of $865 for Cars, $940 for Small/Light Trucks (Sienna, RAV4, Highlander Gas, Highlander HV, 4Runner, Tacoma and Venza), $1195 for Large Trucks (Tundra), and $1095 for Large SUVs (Sequoia and Land Cruiser). (Historically, vehicle manufacturers and distributors have charged a separate fee for processing, handling and delivering vehicles to dealerships. Toyota’s charge for these services is called the “Delivery, Processing and Handling Fee” and is based on the value of the processing, handling and delivery services Toyota provides as well as Toyota’s overall pricing structure. Toyota may make a profit on the Delivery, Processing and Handling Fee.) Excludes taxes, license, title, available or regionally required equipment, and $698.10 dealer documentary fee. Actual dealer price will vary.